Wondering how to cut down energy bills? Utilities take a big toll on our budget, and cutting down your electricity usage can significantly lower your power bills. You don't need to be a miser, but it is good to be frugal! You can follow these 20 simple steps to cut down your energy bills for a greener home, do your bits for the environment and save some extra money every month. Keep reading! While this is pretty basic and everyone knows it, almost everyone forgets to observe this simple rule sometime or other. Even I do, too. This is yet another reminder to stick to the basics — switch off the lights and fans whenever you leave a room. Sometimes, I heard a strange reason for keeping them on. There is a myth that switching a light on requires more energy than keeping it lit. Note, this is a myth. Switching a light on only takes a fraction of second and does not consume much energy. If you leave your room even for a minute, it is a good practice to turn the lights off. If you can follow this simple rule carefully and rigorously, you can cut down your energy bills hopefully by at least five to ten percents, if not more. Heard of phantom loads or standby power consumptions? Well, some electronic or electrical appliances consume power while they are not in operation, in the standby mode, or even just attached to the plug. You can reduce phantom loads by simply unplugging them when not in use. That is indeed a little inconvenient, as you will have to plug and unplug them a number of times. Anyway, you got to do such extra works if you want to cut down your energy bills! Unfortunately enough, preventing or decreasing standby power consumption is still not recognized by a large number of end users, which result in a colossal waste of electricity budgets in the collective scale. How to decrease energy usage by stopping phantom load? Well, by simply unplugging your mobile phone charger and other adaptors from the wall socket, turning off the master switches of plug strips, turning main switches off, and unplugging appliances like television or washing machine when not in use, you can significantly cut your energy usage down. In France, it accounted for 7% of the total domestic energy consumption. The One Watt Initiative by IEA (International Energy Agency) wanted to make sure that appliances manufactured after 2010 must have a standby power consumption not more than 1 watt. While larger companies have to comply with this policy strictly, I doubt if smaller local manufacturers observe this rule. It is therefore always better to go for established companies and make sure the standby power consumption is never more than a watt. However, it is better not to keep them in standby at all but switch off. Keeping devices in standby mode might contribute to electrical fire risks. This is as simple as switching off the light; we all know that it saves energy but forget to observe. Remember to turn off the taps while you are brushing your teeth, shaving, or applying shampoo. Remember to fix leaky faucets also. Drops make oceans, and if you stop those few drops an hour, it might save you a kilowatt over a month, or a few months. You would also be contributing to the world wide Save Water mission for a better planet for your kids! Replace your old incandescent bulbs with energy efficient CFL (Compact Fluorescent Lamps) and LED (Light Emitting Diode). 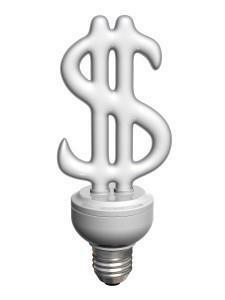 Indeed, CFLs and LEDs are costlier than the regular incandescent bulbs, but this investment will definitely pay off. A traditional incandescent bulb of 60 watts emits around 15 lm/W, whereas the higher luminous efficiencies of CFLs and LEDs results in almost 100 lm/W. On a rough calculation, if your incandescent bulbs account for 10-12% of the total domestic consumption, you can cut it down to a mere 1-2% by using CFLs or LEDs. They also last longer. By replacing your incandescent bulbs with CFLs and LEDs, you can significantly reduce your energy bills and contribute to a greener planet. While installing or removing spiral CFL bulbs, do not hold the glass area. Twist it only holding the base, otherwise you may end up loosening the base seal. This might cause overheating and reduce bulb life. If you have some space, plant a lot of trees. Proper landscaping can significantly shield you against the winter winds and summer suns, thereby reducing the loads on your room heater or air conditioner. Also, having trees in the vicinity will keep your place cooler. And, there is nothing like reading your favorite books, under the greenwood tree , enjoying the gentle breeze. Greener roofs will need a sizeable investment, but in the longer run it will help cutting your energy bills down. A green rooftop for saving electricity consumption is relatively a very new phenomenon, and even in the United States, serious adoption of green roofs did not begin until the early years of the last decade. Rooftop gardens improve water quality, reduce the heat island effect, reduce greenhouse gas emissions, contribute to biodiversity, and last but not the least, saves energy and reduces electricity bills. Green roofs can reduce the room temperature by a whooping 5° in a sunny day, thereby reducing the use of your air conditioner. If you plant a kitchen garden on your roof, you can save some additional money every month. Fresh vegetables also cost less energy to cook than frozen ones. Shopping is impulsive for many, and the companies are always looking forward to capitalize on that impulse. Consider the following situation. For example, if there is an 1 ton AC at $200 and a 2 ton AC offer at $210 at special discount price, many people will go for the second option, even if they hardly need a 2 ton AC. They will not think that getting a good deal on a costlier AC is not all. A more powerful AC will consume more electricity over time. If you really do not need a bigger AC, you can cut down your energy bill quite a bit by selling it and buying a less powerful one. Wait, I was talking about the energy efficient starts and not those twinkling things above your head! The more stars, the better. I have decided not to buy anything below five stars myself. I think the title above is self explanatory. Keeping your rooms cool with curtains will have less loads on your air conditioner, and will help cutting down energy bills by a great portion. Everyone knows it, but everyone does it again. When you run your air conditioner, the cooled air leaks through the gaps (however narrow) below the doors and windows. While adding rubber pads will solve this problem permanently, you can fix it quickly too. Just remember to seal the leaks with a folded blanket whenever you put your AC on, and watch how your energy bill is reduced! So, these are the ten basic steps to cut your energy bills down. Yes, I remember, I promised you to tell about 20 steps to cut your energy bills down. The next ten tips are not-so-common, and sometimes difficult to follow. However, if you can follow the ten unique steps to reduce energy consumption below, you can sit back and watch how your bills go down! Dust off the coils of your refrigerator. Fresh foods lower energy bills. Prefer stand fans to ceiling fans. Stay in a single room, all of you. Wash dishes at evening – Dishwashers produce heat, and take a toll on your AC. Washing dishes in the evening, if possible, will produce less heat since the weather is cooler. Sleep early, rise early. Saves light usage and keeps you healthy. Lower your hot water thermostat. Last but not the least, if you still cannot cut your energy bills down, look for a cheaper energy provider. Still worried about cutting down your energy bills? You want it even lower? You are not a frugal, you are a miser! Either stop worrying, or give up your electricity connection to enjoy a primordial lifestyle.